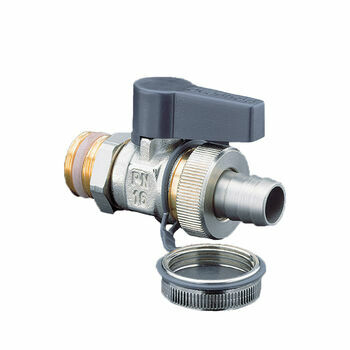 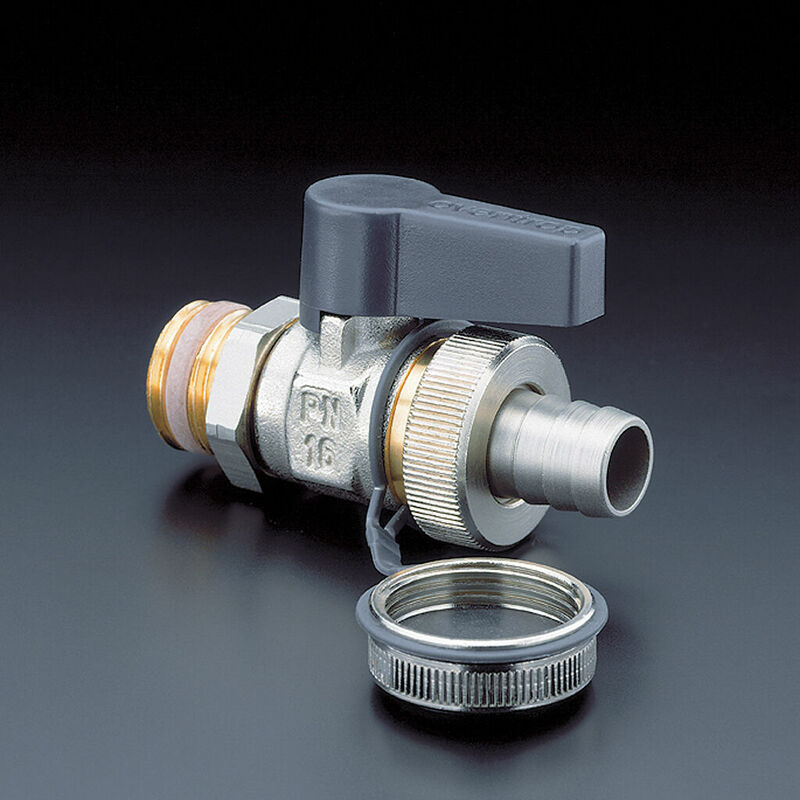 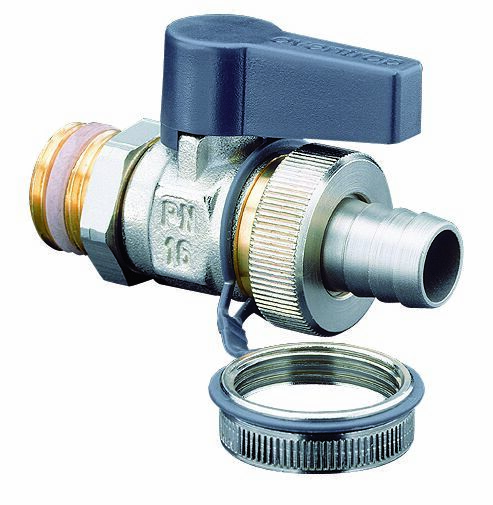 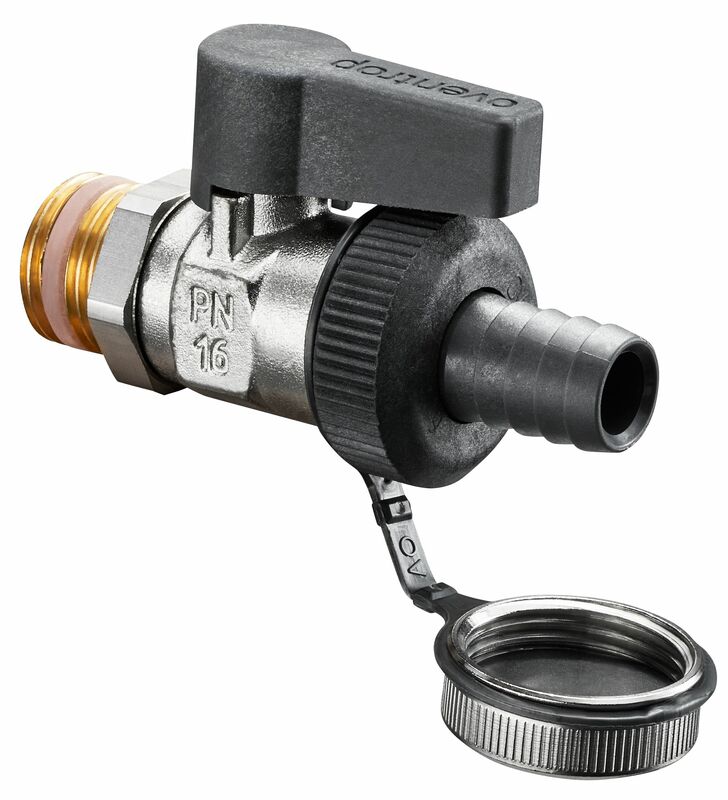 Fill and drain ball valve "Optiflex"
for filling and draining of heating systems, boilers, radiators and pipeworks. Application for water and non-aggressive media up to PN 16 and 120°C. Brass body with self sealing male thread, counternut and handle with stop. 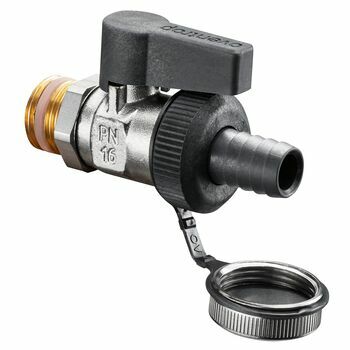 With hose connection (soft seal) and cap.